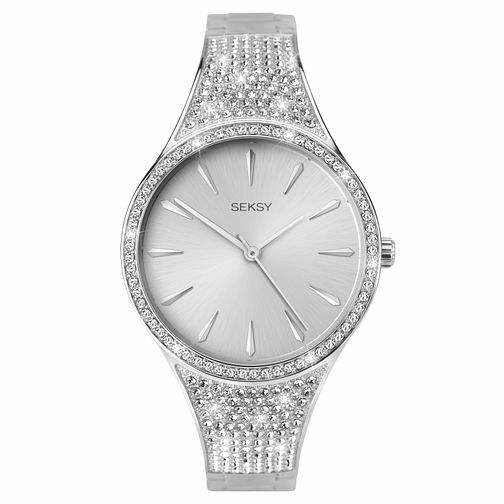 This feminine Seksy watch is sure to make a statement on any woman’s wrist. This timepiece has a rhodium plated stone set case enclosing a sleek silver coloured dial. The watch is flawlessly finished with a matching bracelet beautifully embellished with Swarovski® crystals. Pair this timepiece with your favourite looks throughout the seasons.